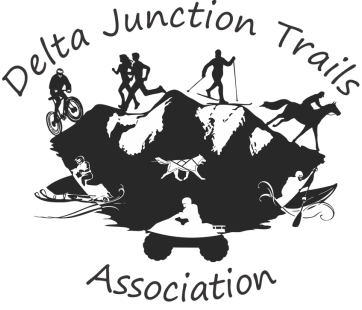 In a partnership with the City of Delta Junction, this trail plan will begin the early stages leading to phase I. A Targeted Brownfields Assessment of the Trespass Shooting Range and former landfill location has been approved. This assessment will provide us with a prescription for clean up of the area, allowing safe public access and forward movement on the project development. We see this project as a multi phase production that will begin with this central trailhead. Additional phases are the River Walk North to Rika’s and the River Walk South projects. The trail type is simple/minor development of standard trails, semi-primitive, non-motorized for hiker/pedestrian, bicycle, skier, snowshoe, approximately 8’ wide. Improvements would also include picnic tables, garbage can, kiosk & signage. Parking could be at the dike area, as there is limited space inside the park area. 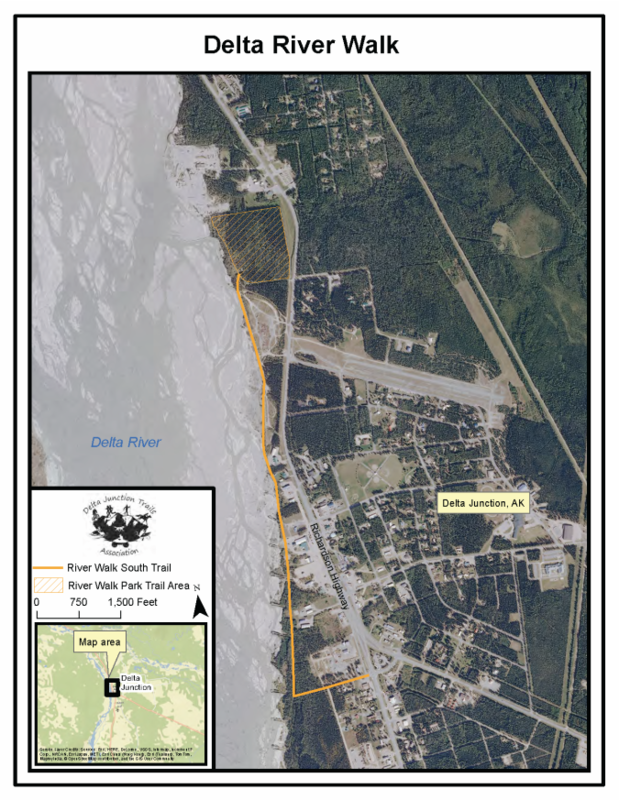 People also could park at Delta State Recreation Site, but this is across the Richardson Highway from our proposed park. The trails will make the best use of the limited space. This trail could be designed to accommodate a” prescription walk” for medical practitioners to give out to patients, and a fitness or circuit training trail. It would be sheltered from the wind, would provide a centralized town/rural experience.